Riverside County, call now at 951-662-0162 and setup an appointment to join up and start training with Juan Pablo Garcia and the rest of the team at our Brazilian Jiu Jitsu academy! Don't wait. Call Pacific Top Team Brazilian Jiu Jitsu Academy now at (951) 662-0162 for a free 30 day trial and to learn more about our Gracie Jiu-Jitsu (GJJ) and Self Defense School. Come see for yourself why Pacific Top Team in Corona, Riverside and Inland Empire is one of the top teams in the country. If you live in another state and are currently training in Martial Arts but are thinking about moving to Corona, CA or the Inland Empire area please give us a call so we can show you what our great BJJ program has to offer. We are located in 210 Dupont st. Corona, CA. Juan Pablo Garcia first Ecuadorian grown Gracie Barra Brazilian Jiu-Jitsu (GBBJJ) Black Belt and he has dedicated his life to Gracie Jiu-Jitsu (GJJ). Call now to take advantage of our 30 day Free Martial Arts trial. To Learn How To Get 30 Days FREE Training - Enter Your Information Below! Hello! I'm Juan Pablo Garcia, one of the head instructors of the Pacific Top Team Brazilian Jiu Jitsu Academy. You have taken the time to find this website and read a few of my testimonials, so please give me a few more minutes of your time to explain to you the opportunity I am presenting you. I GIVE YOU MY WORD that I am offering something that will change YOUR life forever - as it has for thousands of people who have joined our Academies. BUT MY PERSONAL ACCOMPLISHMENTS AS A COMPETITOR HAVE BEEN OVERSHADOWED BY MY SUCCESS AS A COACH AND A MARTIAL ARTS INSTRUCTOR. I LOVE TEACHING AND HELPING PEOPLE ACCOMPLISH THEIR GOALS! Our INSTRUCTOR is the Founder of ESCUELA DE Jiu Jitsu association, an organization focused in spread jiu jitsu in the world, to help teach and form instructors making our Facility (PACIFIC TOP TEAM BJJ) a very international Training center with students coming from all over USA, Canada, EUROPE, AND SOUTH AMERICA to learn, train and teach. Prof. JUAN PABLO GARCIA had traveled the world to Learn, Teach and train but mostly to spread Jiu Jitsu in countries like Ecuador, Chile, Argentina, Brazil, Canada, Germany and throughout the USA. AND HAS DEVELOP ANNUAL training camps in Europe, USA & SOUTH AMERICA THAT ANYONE CAN JOIN NO MATTER FITNESS LEVEL OR AFFILIATION. PACIFIC TOP TEAM Jiu Jitsu CORONA Systems delivers the most innovative, and comprehensive Jiu Jitsu training program with a mix of Judo, Wrestling and self-defense bare handed and armed. It is designed not just to teach theory, but to build unstoppable athletes. Professor Juan Pablo Garcia regularly teaches our all levels, advanced, and black belt programs and he oversees our kids & fundamentals classes as well! In addition to traditional Brazilian Jiu Jitsu, in which you wear a Gi, pacific top team brazilian jiu jitsu corona also offers no-Gi Jiu Jitsu classes. In these no-Gi classes, students wear board shorts and a rash guard or t-shirt. These classes focus on learning and applying the fundamentals of Brazilian Jiu-Jitsu without the traditional Gi. pacific top team jiu jitsu corona classes adhere to the Program Structure created by Master joe moreira & professor juan pablo garcia. to meet detailed learning needs for people of different ages and levels. Our neat, friendly, and motivating environment allows students to have the most challenging and inspirational learning and training experience possible. pacific top team jiu jitsu corona welcomes anyone who values discipline, wellness, martial arts, self-defense, respect, and is looking for a well-balanced lifestyle. It doesn’t matter if you are a person with no training background that wants to lose weight or learn self-defense, a busy business man looking for a stress relieving activity, a parent searching for something to complement the education of your kids, or an experienced martial artist aiming to further develop of your fighting skills, we offer something for everyone! pacific top team jiu jitsu corona is proud to offer world-class level Brazilian Jiu-Jitsu and martial arts instruction for adults, kids, families, and Law Enforcement officials  of the inland empire. Our classes are ideal for fitness, character development, self-defense, martial arts, mixed martial arts and Brazilian Jiu-Jitsu training for the communities of corona, riverside, rancho cucamonga, norco, ontario, chino Hills, and many other areas. 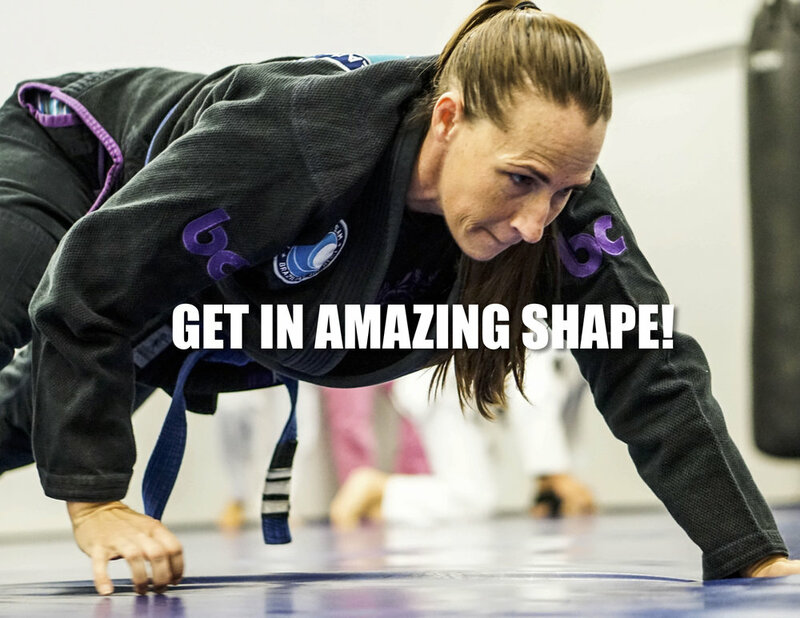 If you are interested in our Women Only Jiu Jitsu, please Click Here. RESPECT– one must learn to respect his/herself before learning to respect others. Focus– to learn how to control one’s body through repetition and strengthening of the mind. Concentration– exists in all facets of life. School, sports, and careers. We teach you how to properly utilize your mind through relaxation and focus. Fitness– Becoming fit benefits you in so many ways. It affects your confidence, your health, & your emotional well being. If a person is forced to defend on the streets- that person must be fit. Fun– whether you’re a child, teen, or adult you will have a good time training in my ACADEMY. You will have the best time you’ve ever had sweating! Control– learning to control your body helps you control your mind. Defense– the most basic, yet most vital element of my program. According to U.S. Justice Dept.- twenty-five percent of all Americans at some point will be the victim of a violent crime. Predators are looking for easy prey. Martial artists typically don’t fall in that category. Becoming a Better You– Self explanatory. Without a doubt this is what we accomplish. Make Friends – get off the computer and games – Quality friends. To enforce Values and morals taught at home. For acquisition of physical abilities such as strength, coordination, speed and resistance – also weight loss. WAIT I HAVE A FREE GIFT FOR YOU! I've made it very easy for you to find out if our program is right for you. You’ll receive 1 private lesson with one of our highly trained instructors; participate in a regular class, a martial arts uniform and a tour of our facility. This will give you a chance to visit our school, meet our staff and work with our instructors. This is your chance to interview us with NO OBLIGATION! FREE STUDENT CONFERENCE: Before or during the introductory program we will meet one on one to discuss your needs. We will educate you regarding the self-defense and fitness aspect of our program. Here we will answer all of your questions and give you tips on how to start the program. 1 PRIVATE LESSONS ($100.00 value. ): I'm offering you one private lesson. See for yourself if, in fact, I can give you the powerful benefits of Brazilian Jiu Jitsu. During this lesson you will be taught the basics of our program so that you will be able to participate in a regular class and we will have an opportunity to answer any and all questions that you may have about our program. 1 BRAZILIAN JIU-JITSU CLASS ($25.00 value): Come experience up close and personal our exciting program. Get in the mix and use your basic techniques you learned in your private lesson to get a great workout. You'll meet other student's of all levels, you'll have the time of your life and you can talk to other student's about their experiences with our program. A BRAZILIAN JIU-JITSU T-SHIRT ($20.00 value): Were giving you $200.00 worth of services and products 100% for FREE just to check us out. That's how confident we are in our program. Now you have to take action and see it for yourself. Pick up the phone and call Coach Kim or Coach Mario at (951) 662 - 0162. They'll answer any additional questions that you may have and schedule a special time with our head instructor to work with you. You'll be glad you did. Thank you and I'll see you soon. DOWNLOAD a FREE 10 MINUTE INSTRUCTIONAL VIDEO!!! Want to learn more and get FREE stuff? Get weekly training tips in your email box from Juan Pablo Garcia for free! We will also keep you updated on upcoming local, seminars, special events, and special offers. You will not get junk in your email – you will get useful information. Don’t believe us? Join our email list (which is private and can be unsubscribed to at anytime) and we will email you back a link to a FREE instructional Video by Professor Juan Pablo Garcia! FREE Adult Brazilian Jiu Jitsu (BJJ) & Mixed Martial Arts (MMA) Email Newsletter! Join now and get a FREE Instructional Video in your email right away! No obligation – you can remove yourself at any time. DO I NEED TO BE IN SHAPE TO ENROLL FOR your ADULT Martial arts program? ABSOLUTELY!!! Contact us now to get you started. OFTEN DO WE NEED TO COME TO CLASS AND WHEN ARE YOUR CLASSES? Actually, no. I know it seems counterintuitive, but the reality is that because our Martial Arts students like the physical portion of our classes (the warm ups, take downs, grappling, pushups and everything else) SO much, they’re willing to listen and apply the Character Development portions (patience, control, thinking before acting, etc). It really does work. Our students don’t WANT to use their Martial Arts moves outside of the class, because they don’t want to disappoint us as instructors. You really have to see it to believe it.